​Car wrapping is a graphic, 3M vinyl wrap material which is professionally installed on your vehicle as a way to advertise your business while you or your employees drive. Car Wraps Hamilton is the best place to buy a vinyl car wrap in Hamilton, Ancaster, Stoney Creek, Dundas, Brantford, Flamborough, Greensville, Binbrook and Waterdown. Absolutely! 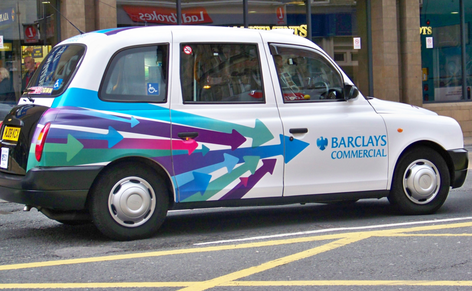 Vinyl car wraps are one of the best returns on investment for any type of advertising you do. As you or your employees drive on the roads, your company is being advertised. Parked in a parking lot? 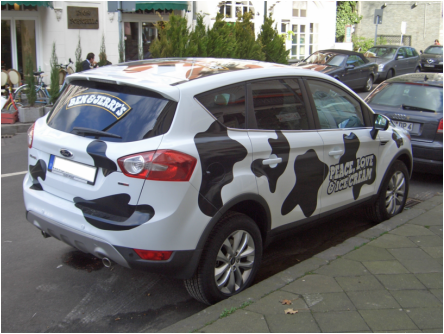 Potential customers are all around driving slowly and walking past your car wrap advertising. They can stop, snap a picture and contact you when they get home or even contact you right there as they walk to their car. That’s one more customer. And all from having your car wrapped with your business info on it. 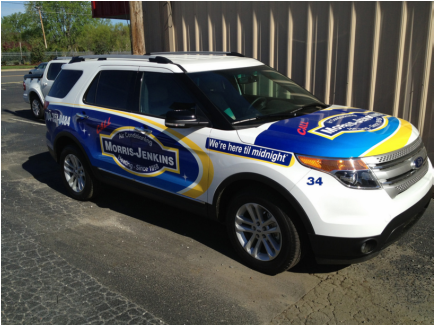 Each time you drive in your car wrapped vehicle, you are reaching hundreds or thousands of potential customers. Imagine! 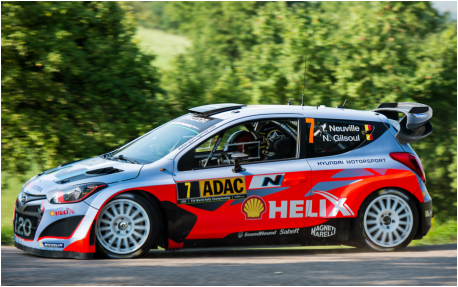 How long will a car wrap last? The average length of time for a vinyl car wrap is 5-7 years which means with just one car wrap, you could be reaching hundreds of thousands of potential customers over the life of your car wrap. It’s a great investment. ​Full car wraps are where the vinyl car wrap covers the entire vehicle, except the roof. Your business will be advertised on the roof, side windows, side doors, rear window and back of your car. A full vinyl car wrap advertisement of your business is easy for potential customers to see on the roads and when your car is parked. We only use 3M car wrap material, which is the best there is. ​Partial car wraps are any car wrap which is less than a full car wrap. Partial car wraps might just be of the hood of your car. Or we can do a back window wrap only. We can also help design car window wraps so when other drivers are beside your car, they can see advertising about your business. Car window wraps are really great to attract potential customers who are sitting at a red light right beside your car. Give those bored drivers something to read and maybe get a few more customers in the process. A partial wrap can also include installing vehicle lettering and printed decals on your commercial fleet of vehicles to help boost your advertising. Our in-house team of graphic experts can work with you to help define your needs and install custom branding to help customers identify your business easily as your fleet travels around serving the residents of Hamilton, Burlington, Oakville, Mississauga and the Golden Horseshoe region. Compared to billboard advertising, car wrap advertising is far cheaper in the long run. Billboards that reach thousands of drivers a day cost thousands of dollars a month to rent. A car wrap is a one-time investment which lasts 5-7 years. We would love to give you a car wrap cost on our website but since each business has different advertising they want done, we would want to talk to you first. We want to know what your goals are with your car wrap and how we can help you get to those targets. Fill out our form or give us a call at 289-799-3539 so we can start working with you on figuring out which is the best car wrap for your business. The options limitless. Each car wrap we design is a custom car wrap. That is simply what we do. Your business is unique and so your car wrap should be too. Our goal is to help each business we work with to get the advertising they want in a unique way that converts to sales. We work closely with you to help design the right car wrap for your business. We do the full process from design, layout, graphics, colour scheme, text and finally installation of your custom car wrap. 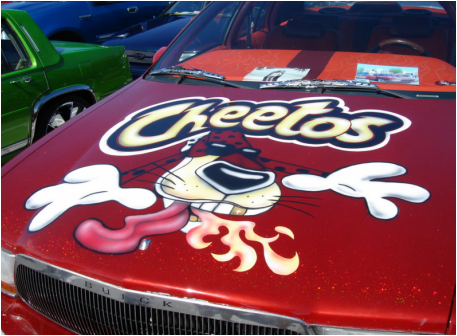 You’ll be impressed with our designs and how great your car wrap will look. Fill out our form or give us a call today 289-799-3539 to start the process of getting a car advertising wrap for your business. Let’s get your business on the road. Check out our Frequently Asked Questions page for more info.